Sitting across the table from Linda, you wouldn’t know that she has Parkinson's disease. You might notice that her voice is a little soft, but that could easily be perceived as her normal voice-range. 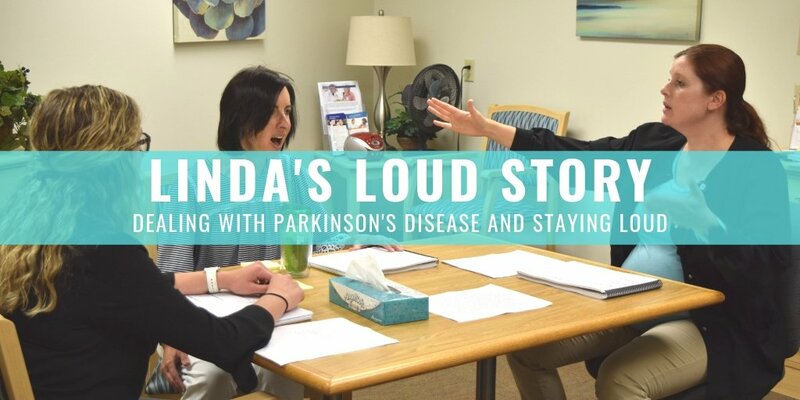 On her birthday, Linda shared her personal story of being diagnosed with Parkinson’s, and her journey to regain her voice. "I was diagnosed with Parkinson's disease about two years ago. I didn't have the typical tremors that people usually think of. For me, my speech got very slow and quiet,” said Linda, a retired Firelands’ nurse and previous director of the Center for Women & Newborns at Firelands Regional Medical Center. “Then, my movements got very stiff and slow,” she continued. “My handwriting got really small. I also started to notice my upper body was weak when I would try to open doors, and then not being able to do certain exercises that I used to do easily. My husband, he said I was in slow-motion, we were on vacation then, and I said 'well it's just because we're on vacation'." Linda and her husband have been married for 36 years. They are both local to the area. Linda is from Clyde, and her husband is from Huron. They decided to move to Perkins to start a family – since it was in the middle of their respective hometowns. There, they have raised 4 children, 2 girls and 2 boys. It was in November of 2016 that Linda was diagnosed with Parkinson's disease after continuing to have unusual symptoms. “I had some treatment for my shoulder - I had frozen shoulder. But after that got better, my handwriting still didn't improve. So we knew there was something really wrong. Also, my speech continued getting slower, and I started having balance issues,” said Linda. After a visit to the ER, prompted by more, frequent symptoms, the doctor sent her to a specialist who eventually diagnosed her with Parkinson's disease. They suggested she start physical and speech therapy right away. 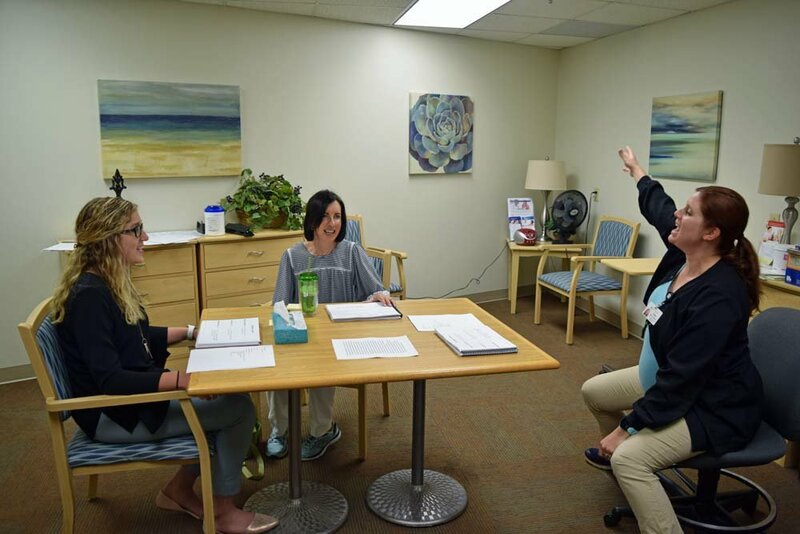 The speech therapy that Linda is participating in is a two-part program that helps individuals with Parkinson's disease regain and maintain effective communication. The programs are called, SPEAK OUT!® followed by The LOUD Crowd®. SPEAK OUT!® places emphasis on speaking with intent and converting speech from an automatic function to an intentional act. 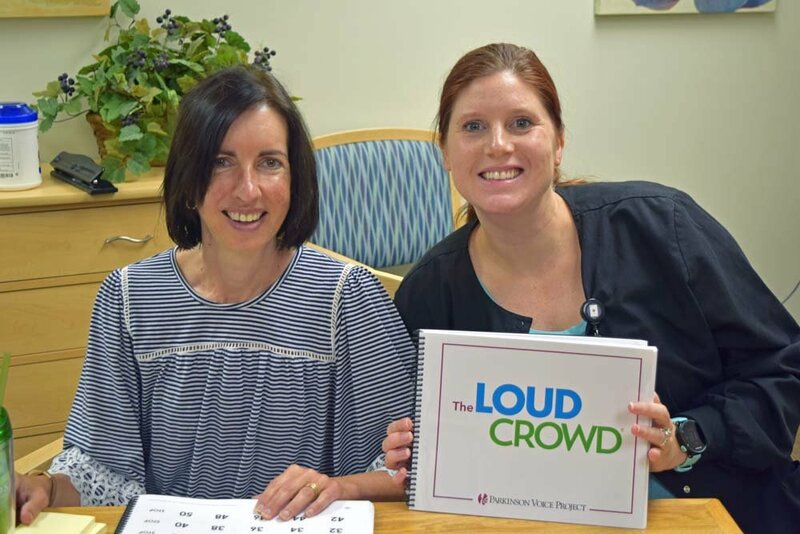 Together, patients and their speech-language pathologist work through a series of speech, voice, and cognitive exercises outlined in a SPEAK OUT!® Workbook. Linda works closely with Cara Long, M.A. CCC-SLP, speech-language pathologist at Firelands Regional Medical Center. “I am truly passionate about helping individuals enhance their speech, language, and swallowing abilities. Being able to provide the SPEAK OUT!® and LOUD Crowd® program has allowed me to help individuals with Parkinson’s Disease improve and maintain their speech and swallowing for long-term results. Working with people like Linda, who are motivated and enthusiastic about improving their health, has been truly rewarding and makes me grateful to be in the field that I am in. The people are wonderful, the program is effective, and most of all, it is FUN!” Cara explained. When asked what her favorite part about the classes were, Linda said “working with Cara, she is fun.” She also said that the results were of course a big motivator for her. And that she also enjoyed the interaction with the other members in the group. “There are a couple other people in the group, so that is nice. It kind of forces you to really focus on what you’re doing - you don't want to be the one getting scolded for being quiet,” Linda joked. For now, Linda is optimistic and positive about the future. She has plans to travel with her husband this year in their new camper to visit their children, who live out-of-state. She also plans to continue going to the weekly classes, and keeping up with her physical therapy. She agrees that this program has absolutely given her some quality of life back. Firelands Regional Medical Centerreceived a grant for the SPEAK OUT!® and The LOUD Crowd® through the Parkinson’s Voice Project SPEAK OUT!® and The LOUD Crowd® Grant Program. This program’s main purpose is to increase accessibility of these programs to patients and families throughout the United States.